^ "Lincolnshire People – Famous Yellowbellies – Alfred, Lord Tennyson". BBC. 2005-08-31. Archived from the original on 2005-08-31. Retrieved 2018-03-26. ^ "primaveraproductions.com". primaveraproductions.com. Archived from the original on 2015-09-23. ^ Reed, A.W. (2010). Peter Dowling, ed. Place Names of New Zealand. Rosedale, North Shore: Raupo. p. 411. ISBN 9780143204107. 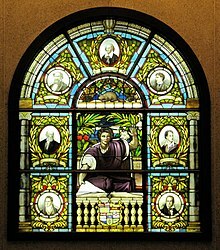 ^ "Queen Victoria's Journals – Information Site". queenvictoriasjournals.org. January 5, 1862. ^ "Queen Victoria's Journals – Information Site". queenvictoriasjournals.org. April 14, 1862. ^ "Queen Victoria's Journals – Information Site". queenvictoriasjournals.org. August 7, 1883. 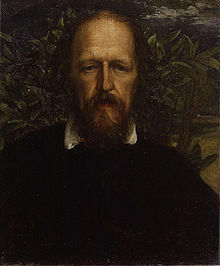 ^ Alfred Lord Tennyson (1899). Hallam Tennyson, ed. The life and works of Alfred Lord Tennyson. 8. Macmillan. pp. 261–263.